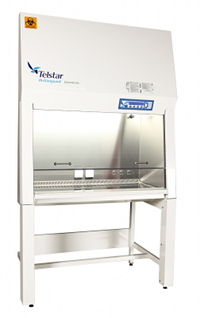 Telstar’s new Aeolus laminar flow cabinets, available in four sizes, provide protection for products in an ISO 4 sterile environment. 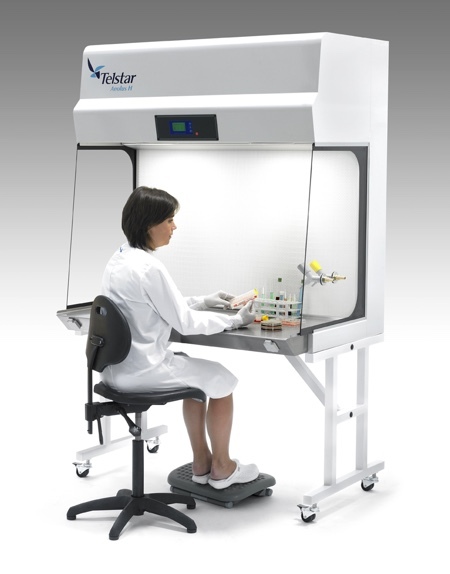 The cabinets are suitable for handling non-pathogenic samples in applications related to hospital protocols and clinical pharmacy, in vitro fertilisation, food quality control and microbiology, in vitro cultivation of plant and animal cells, microbiology and cleanrooms for pharmaceutical, veterinary and food industries, as well as hospitals, universities and research centres. 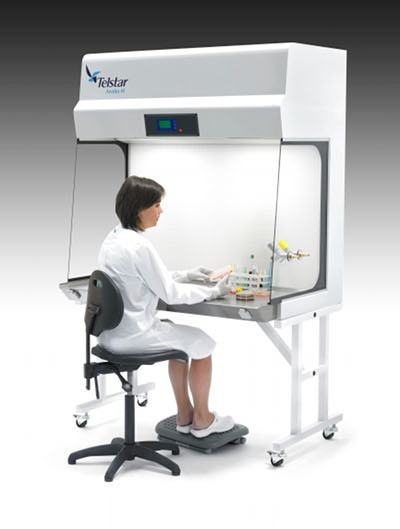 The horizontal and vertical laminar flow cabinets offer more efficiency and lower energy consumption, the company says. An automatic airflow velocity control system ensures an optimised protection level for the product, an appreciable reduction of sound level and 20% more sterile working area while maintaining a compact external footprint. 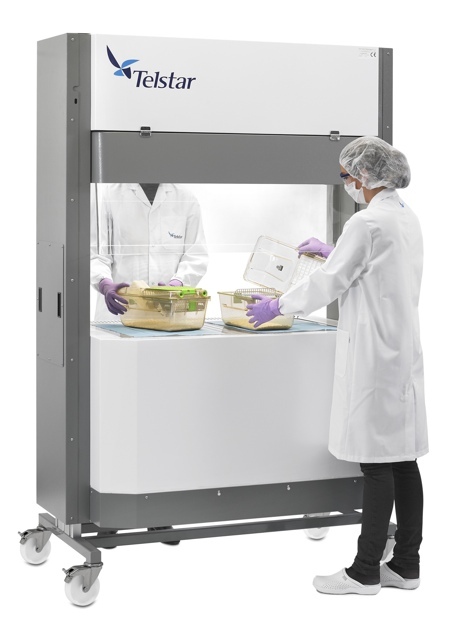 The laminar flow system enables work to be carried out under sterile conditions with low particulate count by virtue of a continuous filtered air sweep in the work area, which assures full product protection. The Aeolus cabinets also include an air anemometer speed monitoring system which confirms effectiveness to the operator at all times and avoids deviations from the average laminar flow range. In addition, the cabinets have Green Line EC fans, resulting in energy consumption of up to 35% less than the average consumption for this type of cabinet, as well as a low sound level and an ergonomic design that provides operators with more comfort and working efficiency. Other notable features include a slightly tilted display to provide better visibility and accessibility. The screen also has an intuitive and practical colour code that continuously indicates the cabinet status. A system of optical and acoustic alarms that warn of any incident and the stainless steel work surface, designed as an integral part, can easily be dismantled. Using an innovative lighting structure, appropriate illumination is provided to the working area, which minimises visual fatigue and help eliminate glare and reflections. In addition, the tempered glass cabinet sides provide full visibility and enhance the inner lighting. The cabinets are designed to facilitate access to all components from the front, which is made of sliding glass in the vertical model, rendering technical maintenance tasks easier. 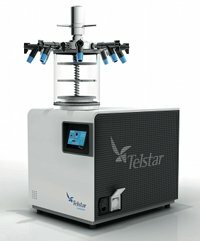 Telstar is launching the new generation of Aeolus laminar flow cabinets at Expoquimia, Barcelona from 30 September to 3 October.